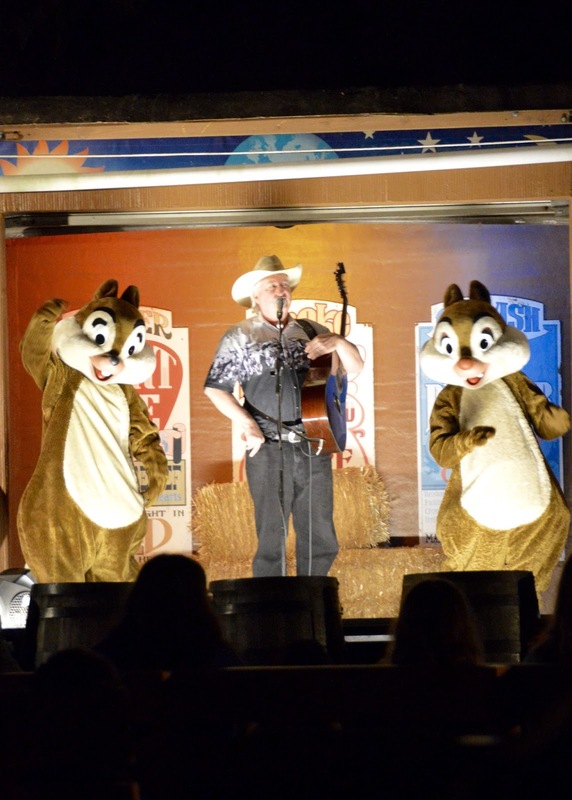 Disney: Chip and Dale Sing-A-Long Fun! Zach and I try to take the kids to Disney twice a year. 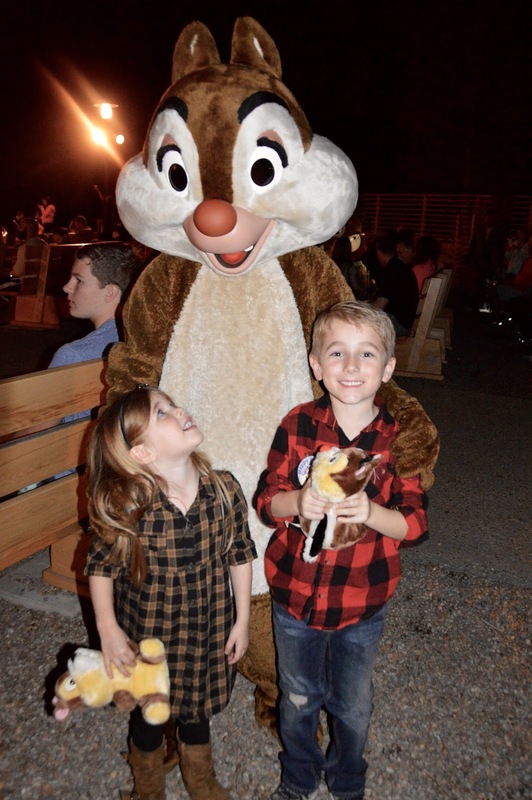 When Kye turned 5 we let him choose if he would rather have a birthday party at the house or go to Disney for his “birthday party.” For his 5th birthday he chose Disney, for his 6th he chose a party (pirate themed!) and for his 7th he chose Disney again. So far this Disney birthday strategy is working in our favor. 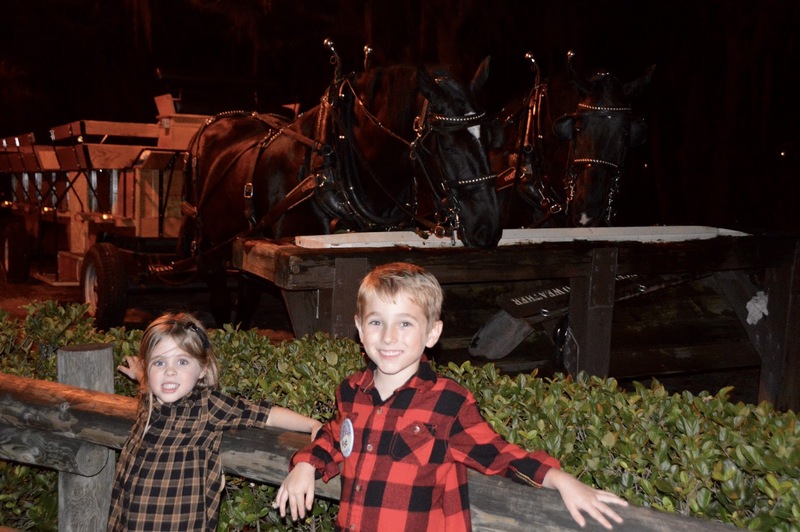 We would normally take a trip to Disney around this time of the year anyway, so making it Kye’s birthday celebration is easy to do and pretty cost effective! We have done surprise trips to Disney before (here and here) but I prefer the kids knowing in advance. Britt has already decided for her 5th birthday she wants a Disney trip and we’re already talking about it almost daily…and her birthday is in December. The anticipation for our family is HUGE when it comes to Disney! So counting down to our trip is half the fun! 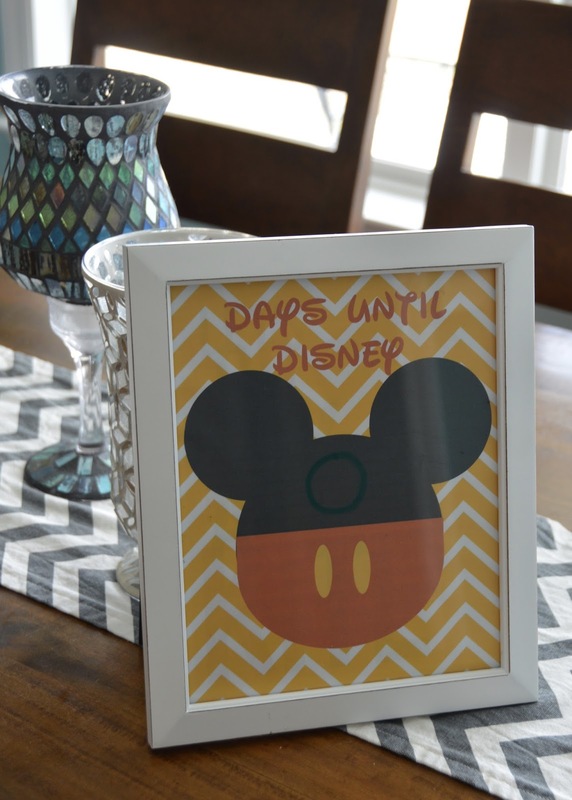 We have done a countdown chain in the past and this time I found a countdown printable for free (here) and just put it in a frame and we counted down with a dry erase marker. Easy and cute! Now that Kye is in public school we have to be mindful about absences. I wanted to go to Disney at the least crowded time possible yet also have him miss as little time from school as possible. We decided to check him out of school at 1:00 on Tuesday (Feb 23rd), miss Wed and Thur, then check him back into school on Friday morning before 10:30. That way he’d be considered present on both Tuesday and Friday and only miss two full days. I had all these plans in place for MONTHS and as our trip got closer and closer I began to check the weather. At first it was supposed to be FREEZING so I planned outfits around that. Then it was supposed to be warmer so I planned outfits around that. Then it was supposed to be raining all day long so I planned outfits around that. Our trip was planned around one day at Magic Kingdom. That day was Wednesday. As our countdown got closer and closer to 0 the weather looked worse and worse. Finally on Tuesday morning, the day we were leaving, I made the decision to change our plans. I switched our Magic Kingdom day from Wednesday to Thursday. At that time Wednesday was not just solid rain all day, but legit thunderstorms. And Thursday looked BEAUTIFUL but chilly. I went totally against my natural self and had to scramble to make new reservations, new fast passes, and a completely new itinerary. But it was SO WORTH IT (big shout out to Robyn for the suggestion of switching and to my husband for putting up with my constant weather chatter for a few days!). We did have to change a good bit of the things we had planned. No Be Our Guest for lunch (but where did get reservations worked out awesome). No getting in the park early for breakfast (but the day we went the park opened earlier so that helped!) Ohana breakfast was earlier than original plan. We lost all our original fast passes (but I made it work!). All of the changes we made ended up being awesome and the weather was exactly as predicted. It was such bad weather on Wednesday that our local schools were all canceled so Kye didn’t even have an absence for that day (so we let him skip Friday instead!). It was a win win win all around and it was a lesson for me that sometimes (sometimes) being flexible pays off! We got settled in and Zach picked up pizza for a very quick dinner as we had PLANS! I try to find a really good balance with these birthday celebrations at Disney. Just because it’s Kye’s birthday doesn’t make the trip less special for Britt. So I try to treat the trip like it’s for everyone but then plan special surprises that cater to the birthday child. 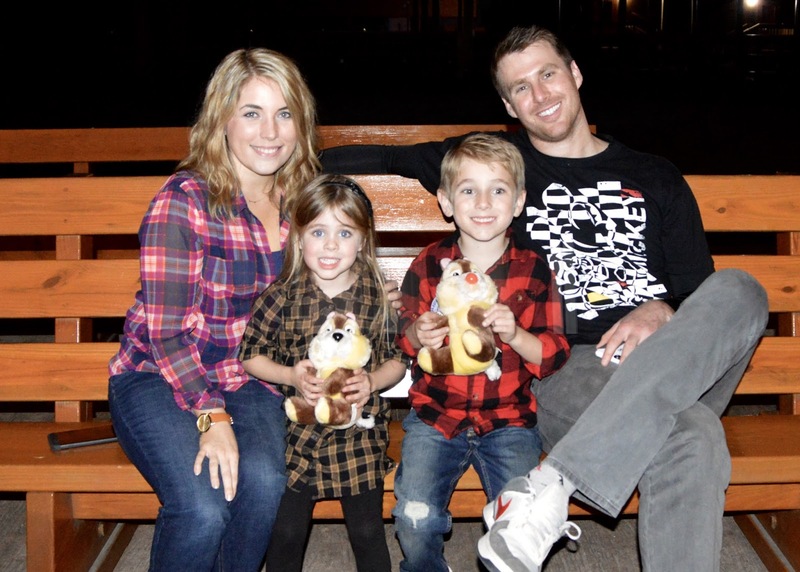 When we brought Kye for his 5th birthday it was easier b/c Britt was too little to feel left out. But I had a big talk with her before this trip about how lucky she was because she got to enjoy all the surprises we had planned too and how when it’s her turn for her birthday trip that we will have special surprises that cater to her but that Kye will also get to enjoy. A lot of people have been surprised that we left Tess at home. I know I’m in a minority about this but I prefer to bring my kids for their first visit when they are around 2 ½ years old. We talked about bringing her in December for Britt’s birthday visit but will most likely wait until next Jan/Feb when it’s lower crowds. This gives us a chance during our trips in 2016 to do some big kid things that we won’t be able to do once Tess starts coming. I do miss Tess when we are there without her but I don’t feel guilt over her missing out. 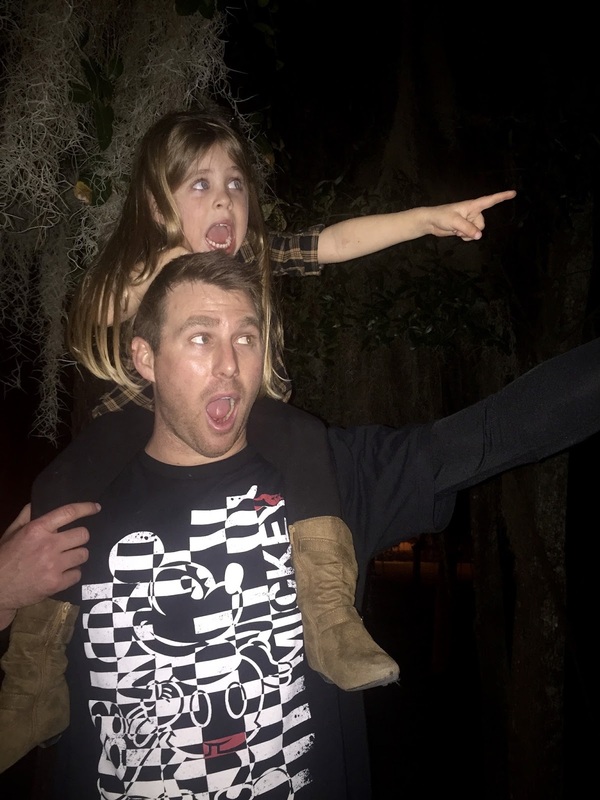 The older kids make a lot of sacrifices at home for Tess and I know she’ll get her turn at all the Disney fun soon enough! I will say that IF we didn’t go as often as we do that I’d totally bring her at a younger age. I don’t think it’s a BAD thing to bring a baby to Disney, it’s just not our thing 🙂 On our last trip Zach and I both felt like we wished Mrs. Charlotte was with us so we asked her to come along for this trip! Mema, Zach’s grandma, was SO SWEET to keep Tess for us! It was great having G-Mama along and the kids loved it and I know Tess had a great time with Mema! Our first surprise was something I have ALWAYS wanted to do. 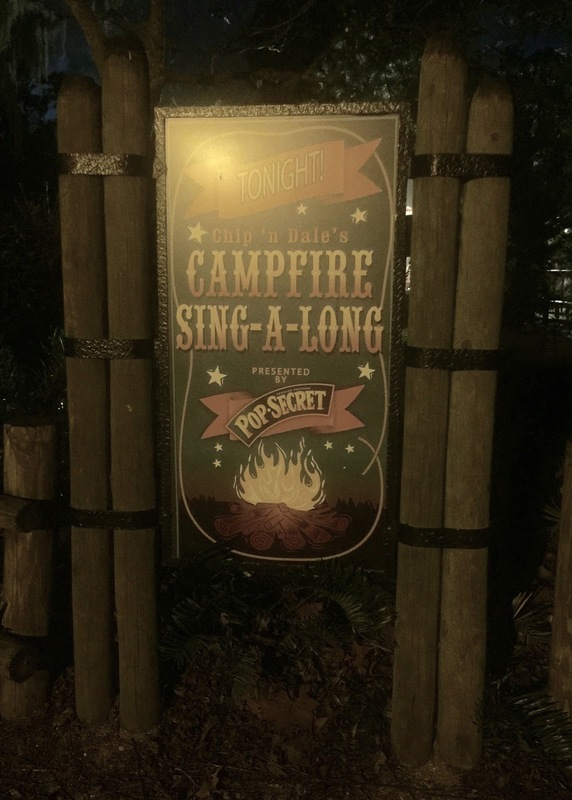 We loaded up to head over to Fort Wilderness Campgrounds for the Chip and Dale Campfire Sing-A-Long! 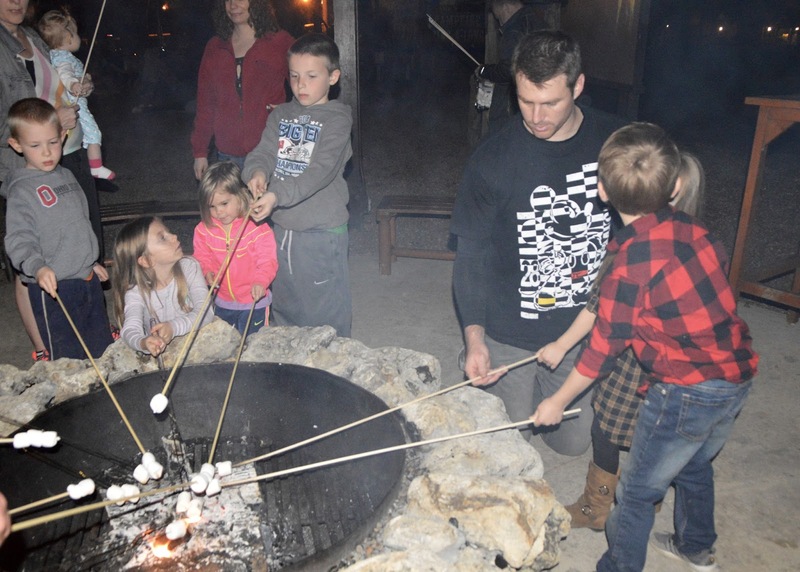 It’s a FREE event that even non-resort guests can participate in! We’ve never been able to go before b/c it’s always so late in the evenings but with it being dark earlier it started at 6:30 which was perfect! Both kids are old enough to handle a later night out (and it’s one of those things we won’t be able to do with Tess for awhile so we wanted to do it now!). If you are planning to do this event my piece of advice is ARRIVE EARLY. We did not know how MASSIVE the resort is and we had to take a BUS to get to the actual site of the campfire. We didn’t miss it but we were RIGHT on time by the time we got there! We arrived too late for the campfire but were told they would keep it going after the sing-a-long so we got a seat and enjoyed the show! The guy who did the singing was great and he did a lot of fun songs that got everyone up and moving! 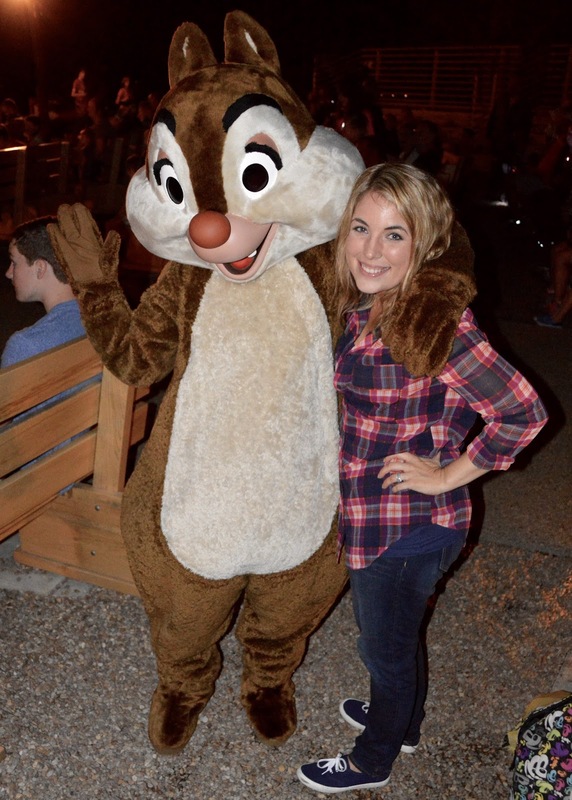 When Chip and Dale went around to do meet and greets we were told to stay in our seats and that they would come to us. This rule was one that most people didn’t follow and because of that only ONE of the characters were able to make it to us in time. Next time we go I will probably be one of the ones who sit up front, meet the first character, then move to the other section so I can catch that character. I don’t even feel like it was a super crowded event but I saw a TON of people doing this and I guess it’s the best way to make sure you meet them both! We got to meet Dale! I was always a Chip girl myself but meeting Dale was awesomely nostalgic for me! At the end of the sing-a-long portion they invited all the kids (and parents too) to come down to dance with Chip and Dale! It was really cute and it was a way for Chip and Dale to make their exit. The entire sing-a-long was about 30 min long so you def don’t want to be late! I was originally told that they wouldn’t do autographs but they did for us so bring your books 🙂 it was a VERY quick meet and greet though so don’t plan on spending a lot of time or interacting much with the characters! They made an announcement before the sing-a-long started about the timing of the movie and mentioned the timing of Wishes, the fireworks show at Magic Kingdom. I had NO CLUE that Wishes would be at 8 that night and I also had NO CLUE that Wishes could be viewed from Fort Wilderness Campgrounds. 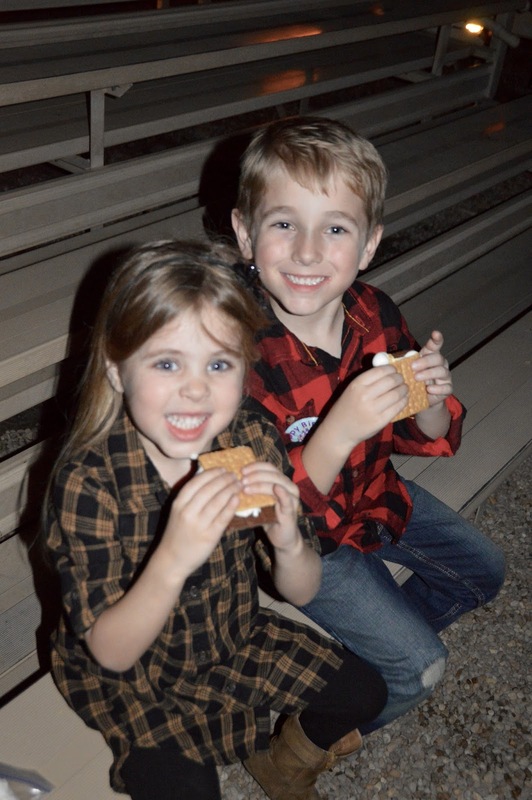 We finished up our s’mores and rushed over to another bus. We were walking to find the spot to see them when we started to hear them. We cut through some trees and were standing on a beach with the fireworks over the water in front of us and the music from Wishes piping through some speakers on the beach. Y’all. It was straight MAGIC. It was my personal favorite moment of the entire trip. Completely unplanned. Just pure perfection. We passed by some horses on our way back and Britt freaked out and said “Corbin! Corbin!” Corbin was the horse that pulled our carriage on our girls’ trip back in November. It was so cute that she remembered and that she got so excited! Britt gets SO SILLY when she’s tired! We were back at the room by 9ish and this kid was CASHED in the back seat! 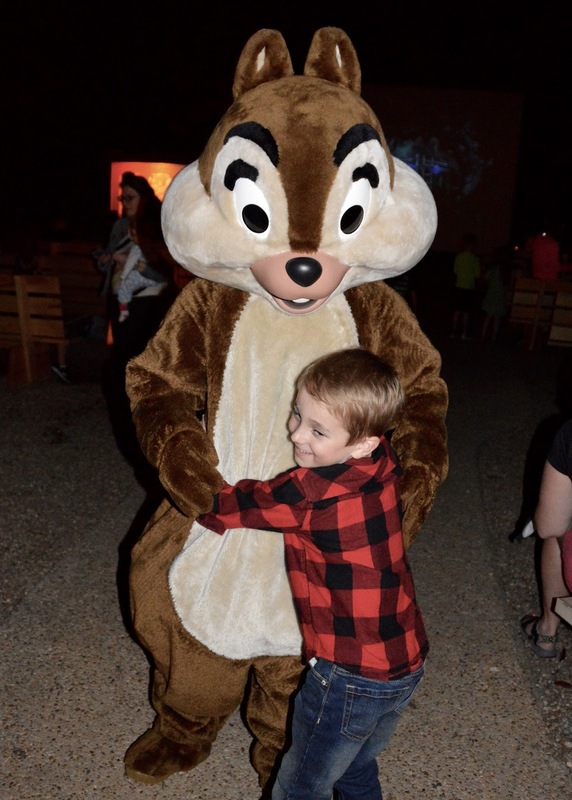 I love how he’s holding Dale 🙂 It really worked in our favor that our big park day was switched to Thursday because with the fireworks watching the first night did end up being later than I would have liked and I wanted to make sure they had an EARLY bedtime the next night before the big MK day! It was a really, really great start to our trip. 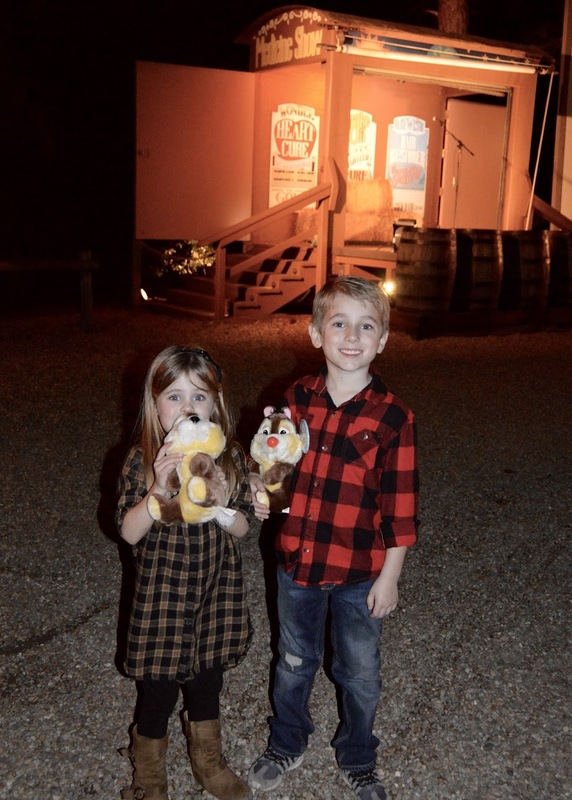 We all LOVED the Fort Wilderness Campground event and it’s something I highly recommend checking out! 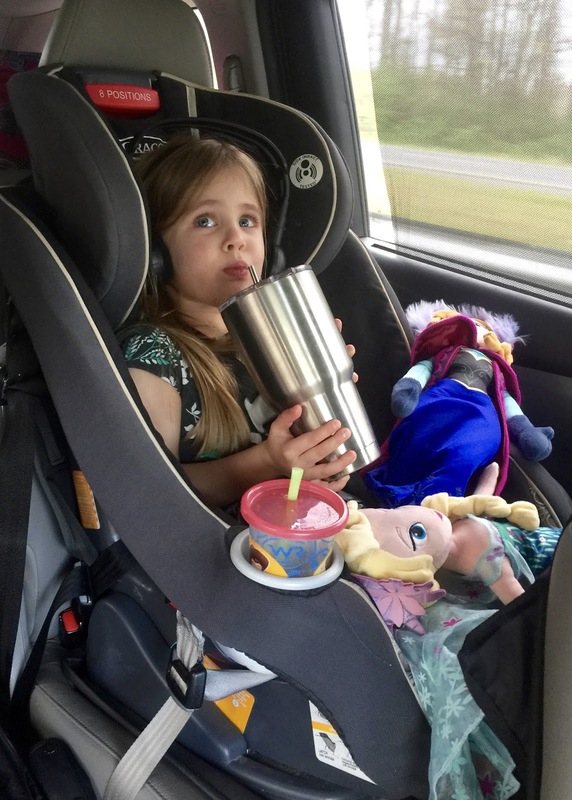 When we pulled into the resort to park they even said “you here for the sing-a-long?” It was seriously no big deal that we weren’t staying on property and it’s a fabulous way to have some Disney fun for FREE! Well, technically the night ended up costing me $10 b/c I left my lens cap sitting on a bench and had to buy a new one 😉 But it was $10 well spent!